Our focus for BBC School Report this year is the North Lanarkshire Transplant Games. 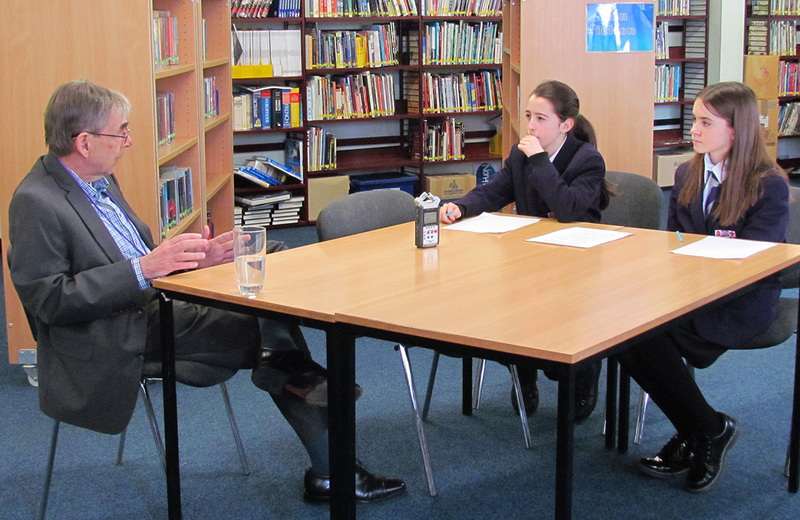 We invited Mr Gorman, who has had a transplant, to Our Lady’s HS for an interview. No the policy at the Glasgow Royal Infirmary where the operation took place is that we don’t get told who the donor family is but obviously I’m very grateful to the donor family. People sometimes say to me that I`m awful brave to have had a transplant but I am not brave because there was no alternative it was either take the operation or … not ! I was not really able to do a great deal at all I was so ill , I would hardly have been able to walk the length of this room. I was at the stage …that I probably would not have lasted another 6 months if I had not had the transplant … I can now basically live a … very ordinary life. It is a very good thing because one of the things you do have to do is keep fit if you have a donated heart…[the transplant games] is a very good way to meet other people who have had a transplant. We would like to thank Mr Gorman for telling us about his first hand experience.